Uniform is a great way of showing that we are all in this together and proud of our Academy identity. We encourage students to take pride in themselves and their appearance at all times. Our uniform prepares students for the world of work; is practical and smart and helps our students develop a sense of belonging in our academy community. grey shorts or blue gingham dresses can be worn in the Summer. For safety, all children should wear black school shoes but not sandals or trainers. Only small stud earrings and watches are allowed. No jewellery is allowed for PE lessons including swimming lessons. Long hair should always be tied back. No extreme haircuts are allowed e.g. no ridges, shaved heads, tramlines, spikes or dyed hair. Within the Nursery and Reception classes, the curriculum includes learning experiences and activities both indoors and outdoors. For these activities, the children need to have suitable outdoor clothing. We would be extremely grateful if your child could bring a hooded coat EVERY DAY even if the weather seems to be sunny. All clothing/shoes should be labelled with your child’s full name. 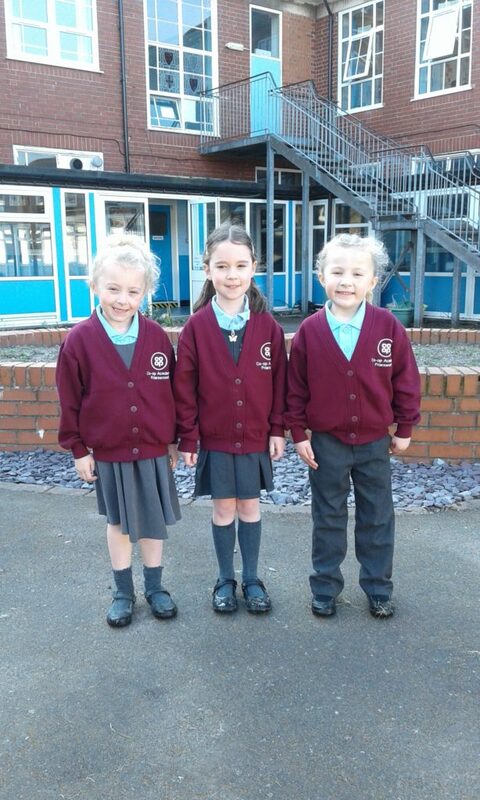 School uniform can be bought from the school office every morning. Please speak to Mrs Dean. Please order your school uniform using the appropriate form found below and send to the school office.